Start here to link up to resources that will make your cruise planning and cruise vacations smooth sailing. If you're looking for the latest news and bargains in the cruise industry, take the link to the "Cruise News and Views" page. For an in-depth look at a new or unusual ship, or an opinion on cruise-line policy, jump to the "Cruise Reviews" page. All links also offer connections to the home pages of all major cruise lines. Happy surfing! 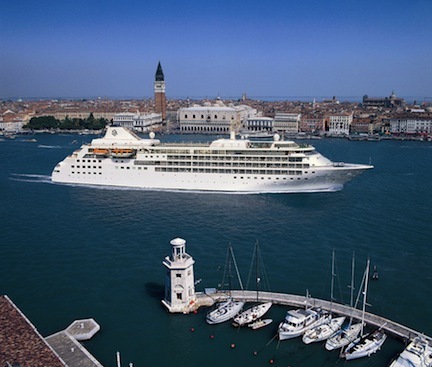 Silversea's Silver Cloud, one of the luxury ships offering "Grand Voyages"